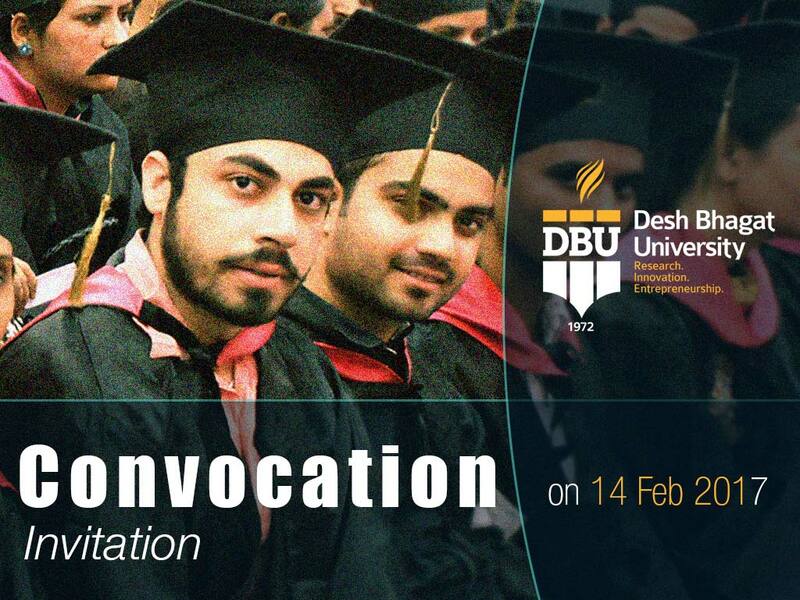 The stage is all set for the Convocation-2017 of Desh Bhagat University to be held on 14th February (Tuesday), on the campus. As many as 600 pass outs of the university and the group are expected to participate in the convocation and receive their degrees. On this occasion, Honourable Governor of Punjab Sh. V. P. Singh Badnore will preside over the function and Former Prime Minister of India Sh. H. D. Deve Gowda will be the Chief Guest. Giving this information to the media, Chancellor of the university, Dr. Zora Singh disclosed that it will also be an occasion for Desh Bhagat University to confer P.HD. (Honoris Causa) to Sh. H. D. Deve Gowda (Former Prime Minister of India), Kumari Nivedita Raghunath Bhide (Vice-President, Vivekananda Kendra, Kanyakumari), Mr. Sandeep Singh (Former Captain, Indian Hockey Team) and Manishi Sant Muni Shri Vinay Kumar ji ‘Alok’. It is worth mentioning that Desh Bhagat United has been imparting Professional and Technical Education in this area for the last over 21 years and has excellent track record. In view of its contribution in the field of higher education and the facilities available here, the state government has elevated it to the status of a state private university. At present, over 8000 students from 29 states of India and 12 different countries of the world are getting education in more than 175 conventional and non-conventional courses.